Growing: Â Medium/Hard Jacks Cleaner is a hybrid of both Indica and sativa strains. This marijuana strain is known for being a hybrid of the two strains but it was found out to be a mostly sativa strain in the background. Also, this marijuana strain could be cultivated both indoors and outdoors. There is no information given if it would perform well in a greenhouse. 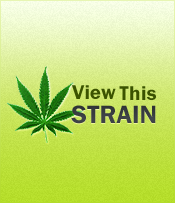 This marijuana strain has unknown flowering period. In addition to this, Jacks Cleaner would not provide you any feminized seeds. Jacks Cleaner has become the urban legend strain you could find among the Elite genetics collection. This marijuana strain is known for being large producer of trichomes that are ultra white in color and heavy. On the other hand, you could expect Jacks Cleaner to be gooey in appearance. Also, you could expect a smell that is overbearing like lemon. Moreover, the taste would be out of this world. Jacks Cleaner would always make me feel like I am in a dream. I never expected that it could make my high so unique. I did not even notice its smoke after all its good effect.